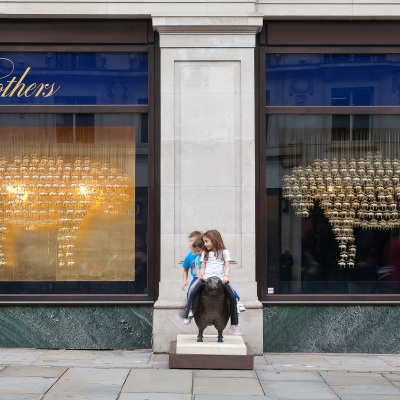 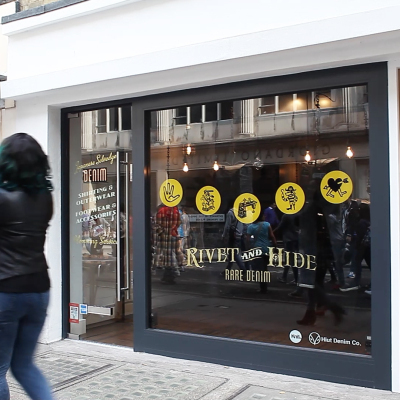 The creative technology agency Knit created an interactive window display for the brand Huit Denim Co.
Squire and Partners created an installation for Brooks Brothers as part of the RIBA Regent Street Windows, London Design Festival and London Fashion Week. 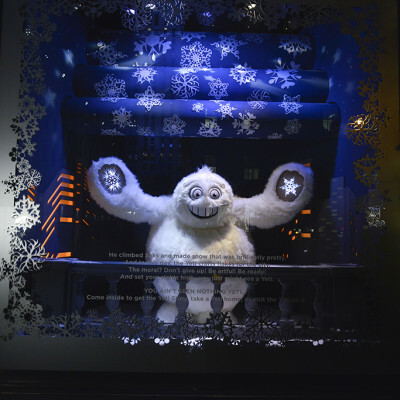 Armani’s Visual Team collaborated with Shop Studios sculptures and artists creating the Armani Exchange Christmas window display. 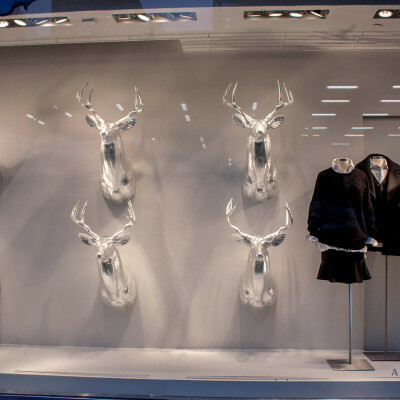 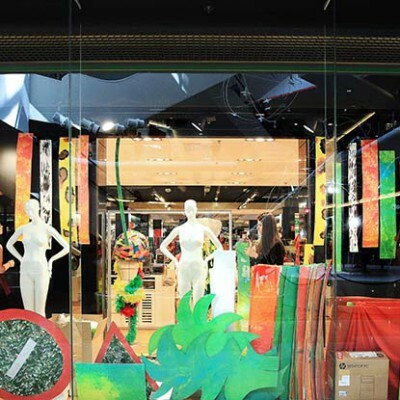 The 3rd year students of ESMOD Lyon created the first floor window displays of Galeries Lafayette Lyon Part Dieu, with the theme ‘la mode sauvage’ what means ‘Wild Fashion’. 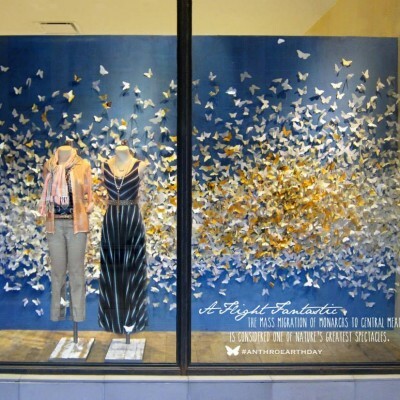 Anthropologie Celebrates Earth Day with Flight of the Monarch Window Installations. 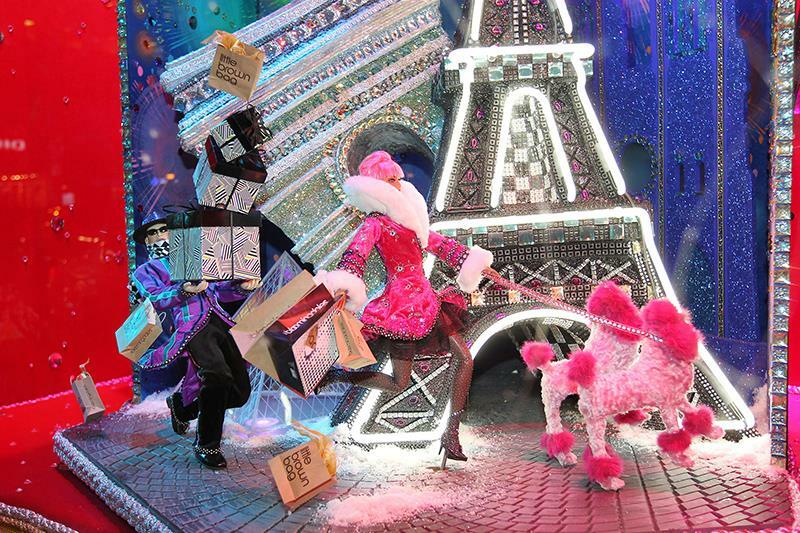 The theme of Bloomingdale’s holiday window displays is ‘All Wrapped Up In’, where each window displays a different country celebrating the holidays. 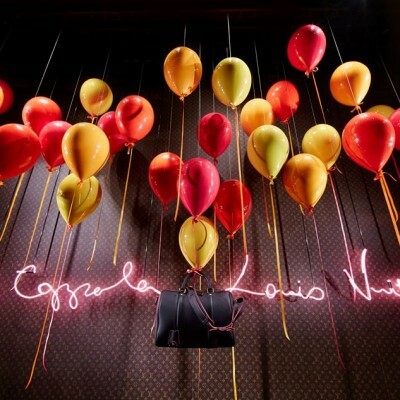 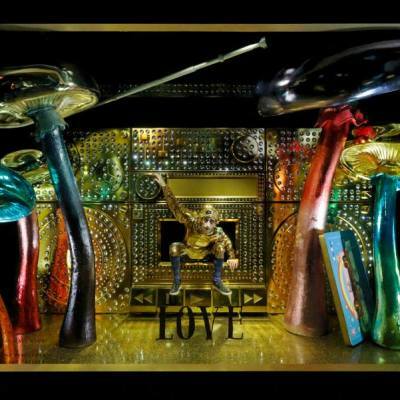 Fantasy windows at department store Le Bon Marche Rive Gauche as a celebration of the SC Bag. 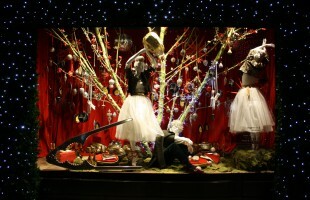 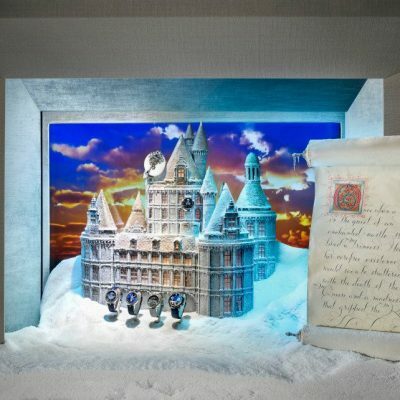 Selfridges created “An Unusual Christmas” window display.